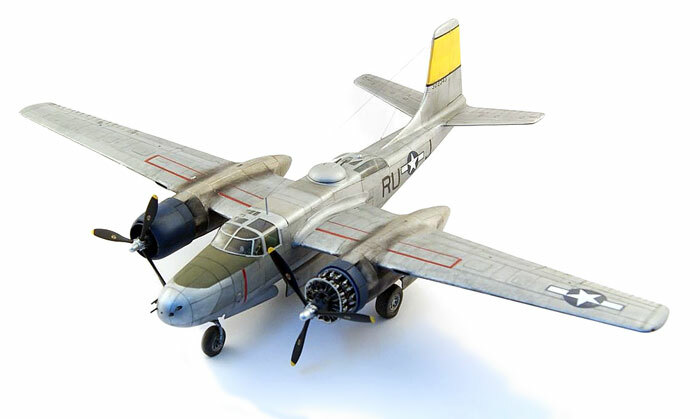 Here is my 1/48 scale A-26 Invader from Monogram. 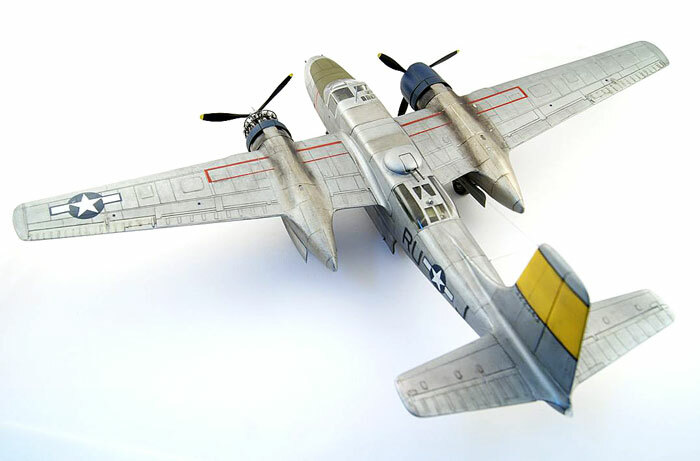 The model has undergone modifications to the wing and fuselage, which are covered with aluminum foil. All hatches are made from foil. I have been also rebuilt the landing gear bays. The engines are from Vector with small modifications. The markings were painted with masks. Testor's paints were used throughout.